Hello, again! 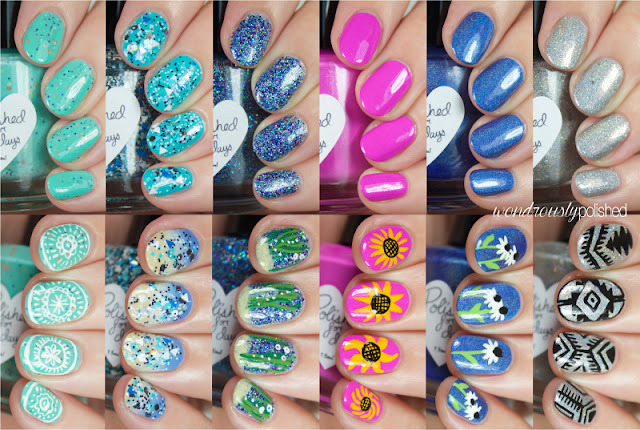 As promised, today I have the second half of the new Polished for Days, Summer Days 2.0 collection to share with you all! If you missed yesterday's post, you can check it out here! This half of the collection has much cooler tones than what we saw yesterday which is refreshing for this time of year. 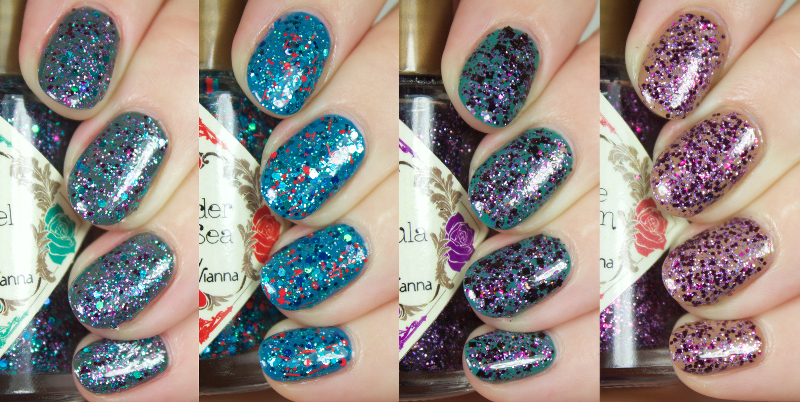 This side of the collection also offers some holos and a fun glitter topper which we didn't get to see in Part 1. The entire Summer Days 2.0 collection will be available starting tomorrow, 6/20 from the Polished For Days shop so don't miss out if any of these babies strike your fancy! Hello, all! I have a great group of polishes to share with you today! 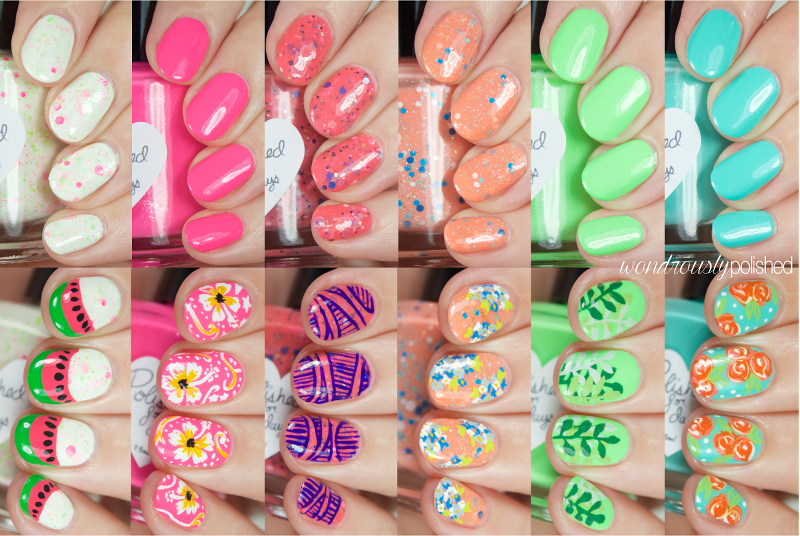 Jenna over at Polished For Days is about to release a 12 piece summer collection and I have the first 6 to share right now (I'll have the second part up tomorrow)! I've reviewed a few of Jenna's polishes in the past and really enjoyed them so I was very excited to try out this collection as well! The Summer Days 2.0 collection consists of a mix of cremes, crellies, holos, and glitter toppers and I love that it manages to combine a beachy feel with the fun neons that are so on trend right now. Each polish has a nice little twist to make it unique and all the formulas so far have been spot on! 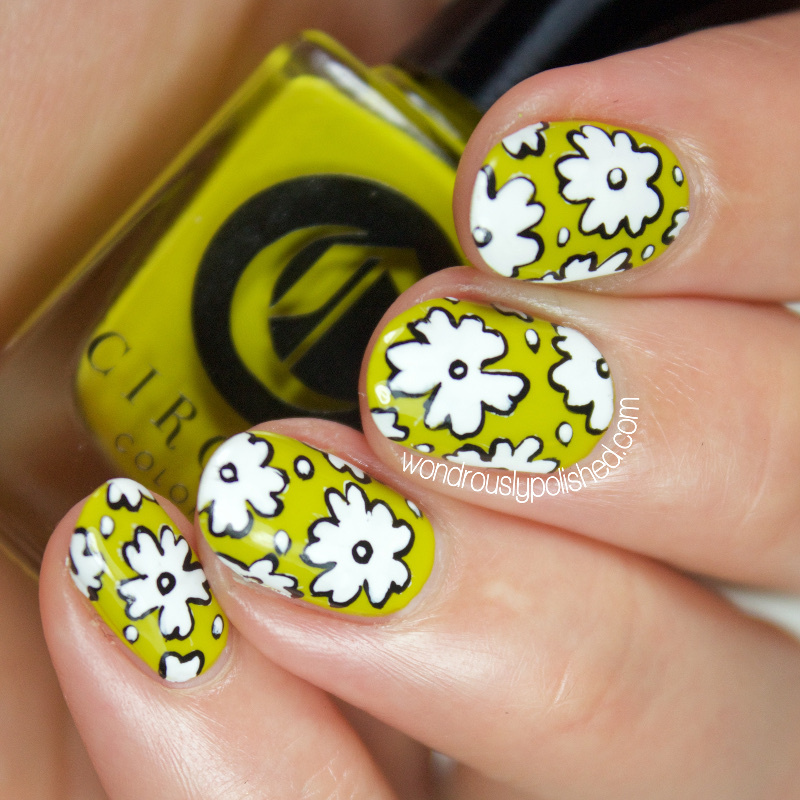 I've also done a bit of nail art with each polish, so let's take a look! Scubaloha is a portmanteau of scuba and aloha! 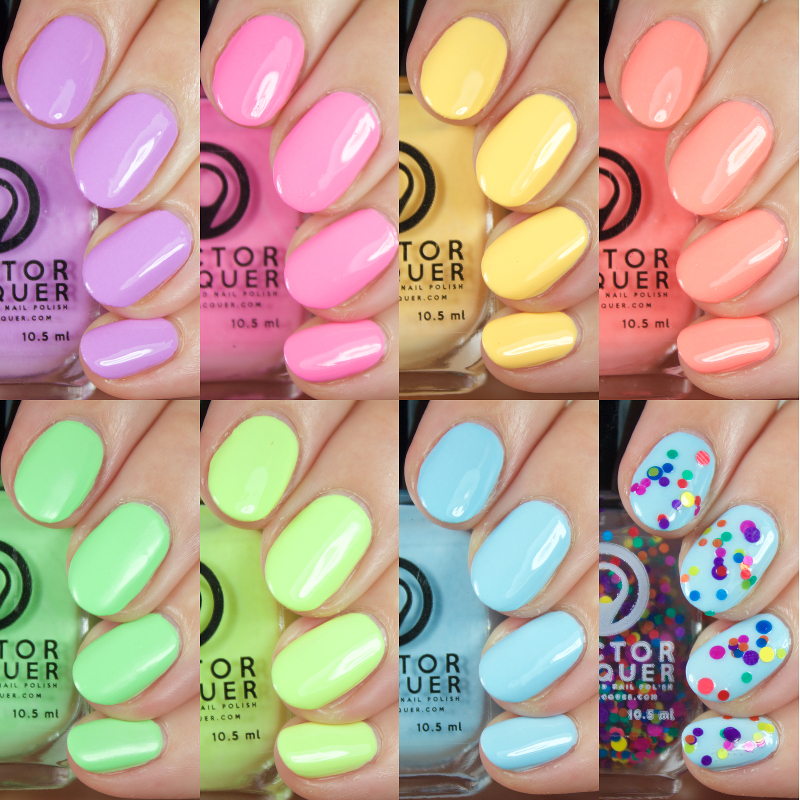 This collection consists of seven gorgeous glow-in-the-dark pastel cremes and one rainbow glitter topper! 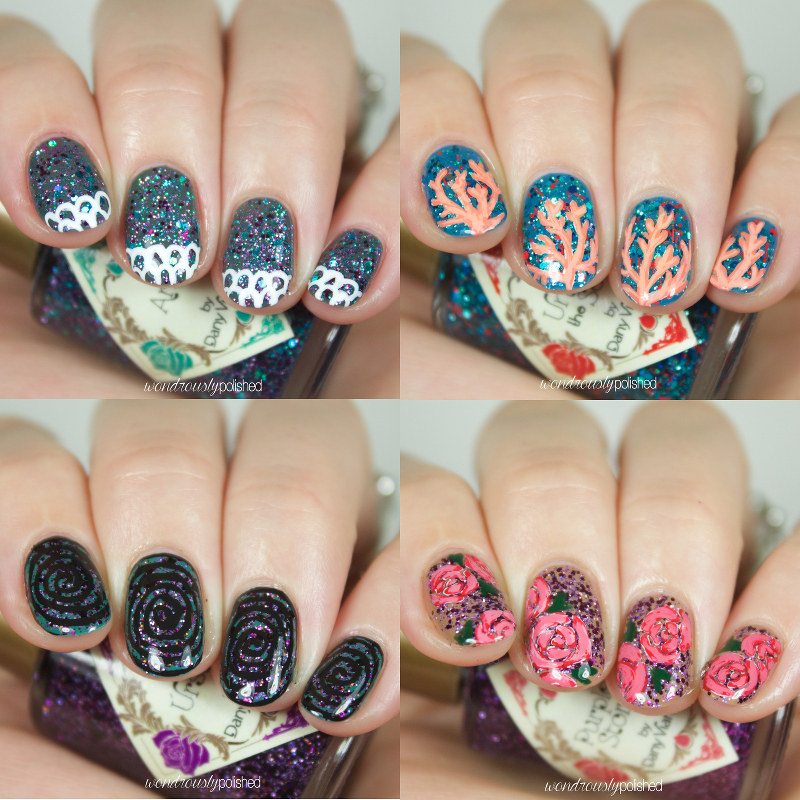 These sizzling summer polishes are named after gorgeous indigenous Hawaiian reef fishes. All of these have varying glow strengths but all the polishes are quite lovely in regular light as well. Let's take a look! Hello, hello! I hope everyone's week is off to a good start! I'm finally getting back into posting with my favorite ladies of the Digital Dozen and this week we're taking on Fandom! I didn't know until this week that fandom is actually a portmanteau of Fanatic and Kingom and is basically what it seems - a bunch of people who are super fans of a particular topic/subject. Some common fandoms are Potterheads (Harry Potter fans), Whovians (Doctor Who fans), and even Gleeks (Glee fans). While many fandoms are based on TV Shows or famous book series, you can find groups of mega fans for almost any popular TV Show/Book/Movie/Music/Artist...anything! For today, I've decided to show my love of the book series, Outlander, by Diana Gabaldon. This series was what originally hooked me on the genre of historical fiction and while the main character falls through portal in time, for the most part the series does a great job of maintaining the historical facts of the time. 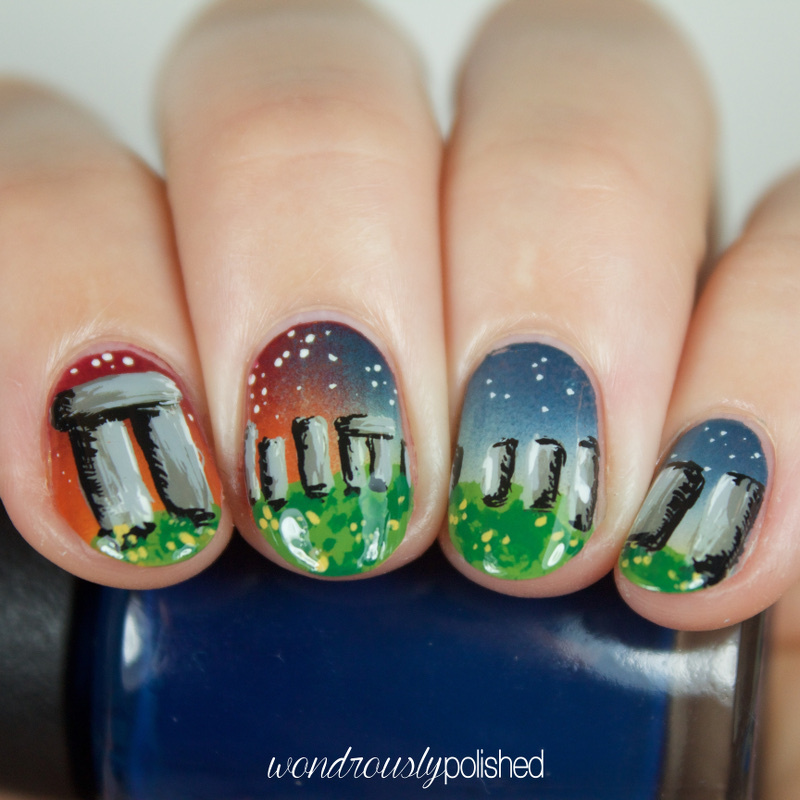 I am a huge fan of the series so it felt fitting to try a mani out inspired by it for this week. Hello, all! I hope your weekend has gone well! I had quite a day yesterday competing in a challenge at my gym (I took 3rd place, yay! ), but now I'm exhausted and sore from the hours of events! Feeling pretty proud of myself though as I never thought I'd be able to do what I did! I have a great group of polishes to share with you all today from a new to me brand (and new to the US), called By Dany Vianna! Dany is a Brazilian indie maker specializing in fab glitter combos and beautiful packaging (I have pictures of that below!). She has been quite the hit in her home country and has recently begun working with DRK Nails to stock her polish so that the rest of the world can have access to them! 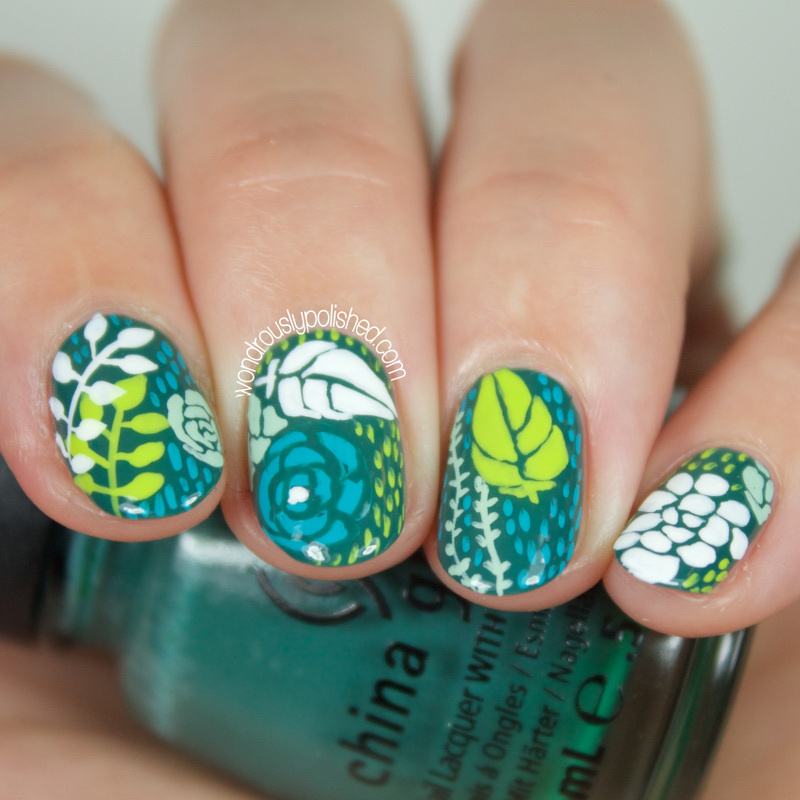 I have four of her polishes to share today so let's take a look! Hello, hello! Can we just talk about the fact that it's already June again!? When did that happen? 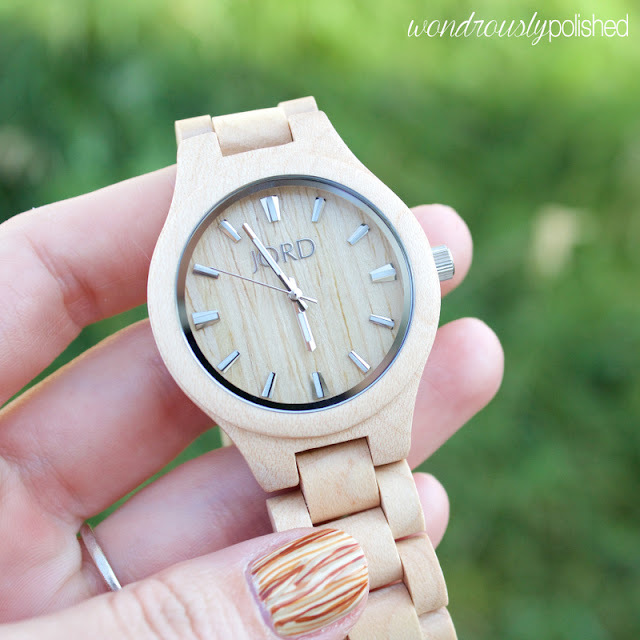 Time flies...but the good thing about the beginning of the month means there is a For the Love of Polish box available! Yay! I was lucky enough to review last month's May Galaxy box and was blown away by everything. For those who don't know, this box is a collaboration between Polished for Days and Illyrian Polish and each month they create limited edition shades around a certain theme. They also bring in a guest polish maker and this month it is the fab Cupcake Polish! 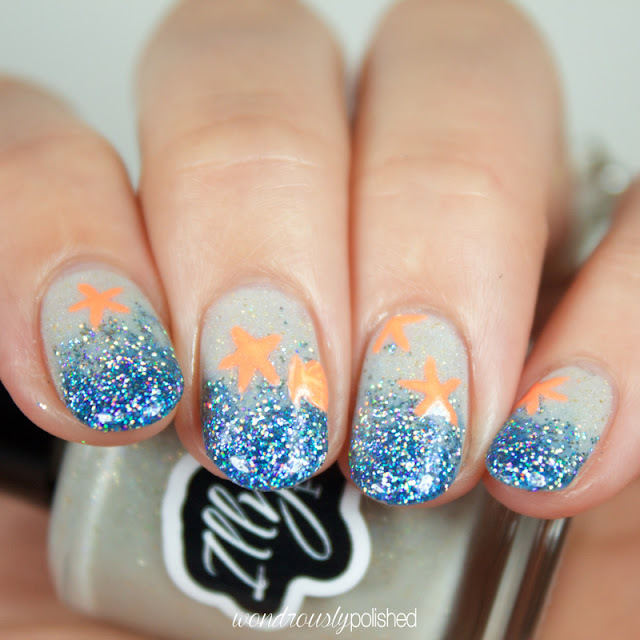 Fittingly, this month's box theme is "Beach Days" and features polishes that make you pine for the ocean. Sales for the box will go live tomorrow, Friday, June 5th, at 12pm PST. Hello, all! I have the May release of Cirque's Metropolis collection to share with you today and it's a beauty! 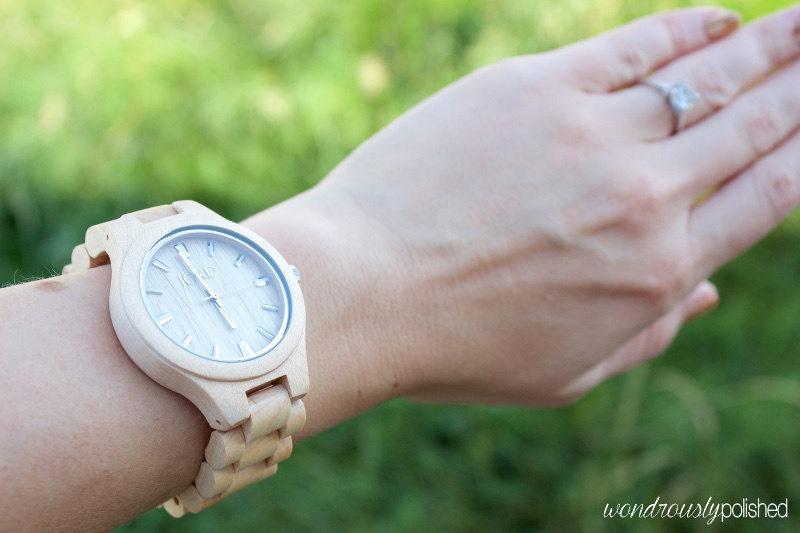 Yes, I know it's June already, but May seemed to have completely disappeared on me and I don't know how that happened! Anyway, getting to it now :) I hope you all understand! 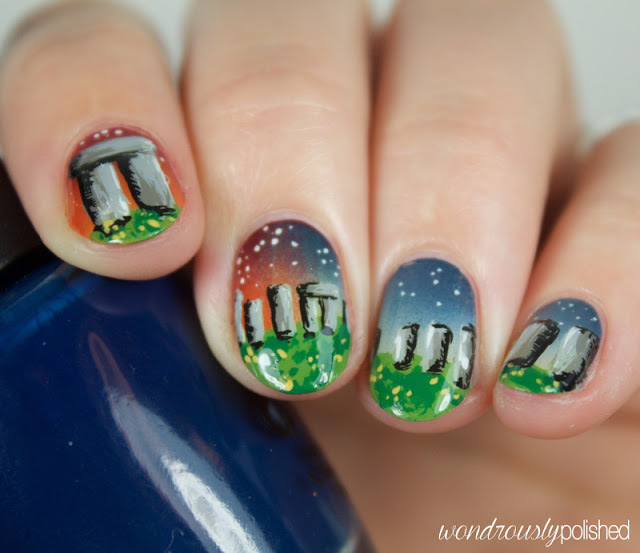 You can also check out past Metropolis polishes here! Without further ado, Hustle! Hello, all! 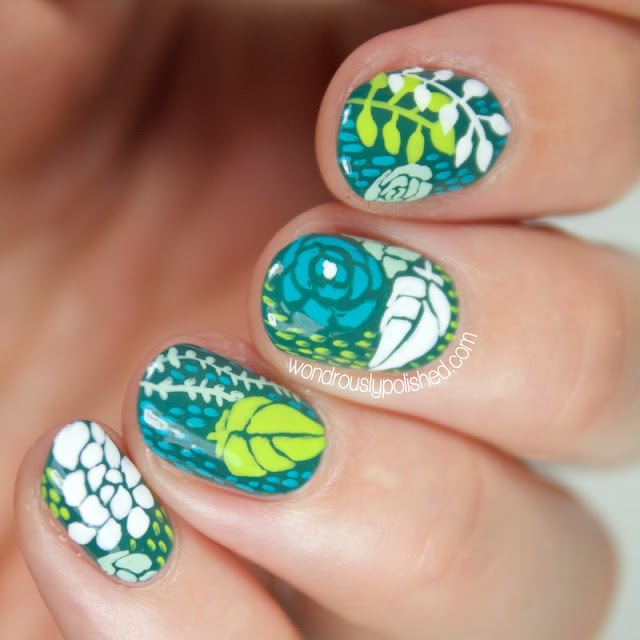 I am so thrilled about today's nail art because, well, it's nail art! 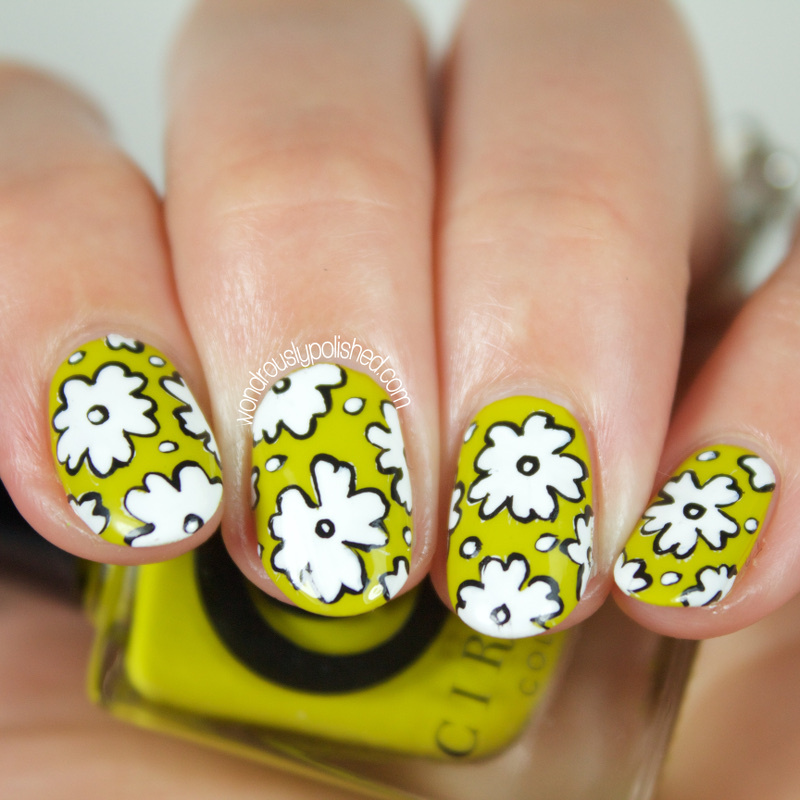 Nail art that I did "just because"! I haven't had much time lately to just create some art because I'm in the mood. While I love swatching and love spreading the word of new polishes and whatnot, I seriously miss my nail art roots all the time and I really want to make a point of doing more nail art again. Just because I want to and not because I have to. Hello, all! I hope you're all doing well! I've been out of town the last week or so but I'm finally getting back into the swing of things and I have a ton of great collections and nail art coming your way soon! 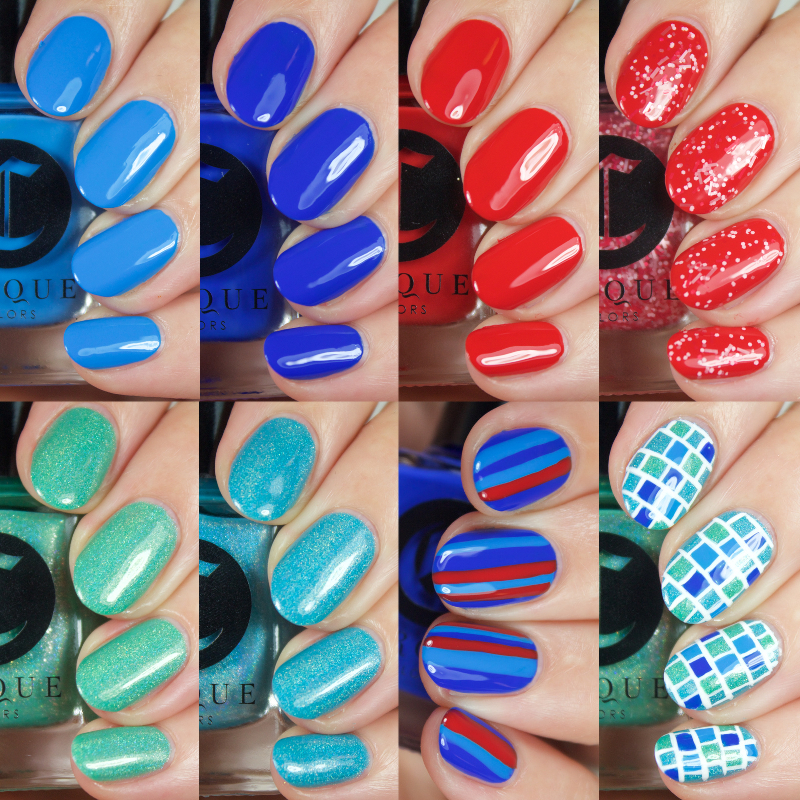 To start things off, I have the awesome new Delush Polish Summer collection, Life's a Beach to share today! I always love the unique color combos and glitter mixes that Adrianna comes up with and her fun names really make the polish something special for me. 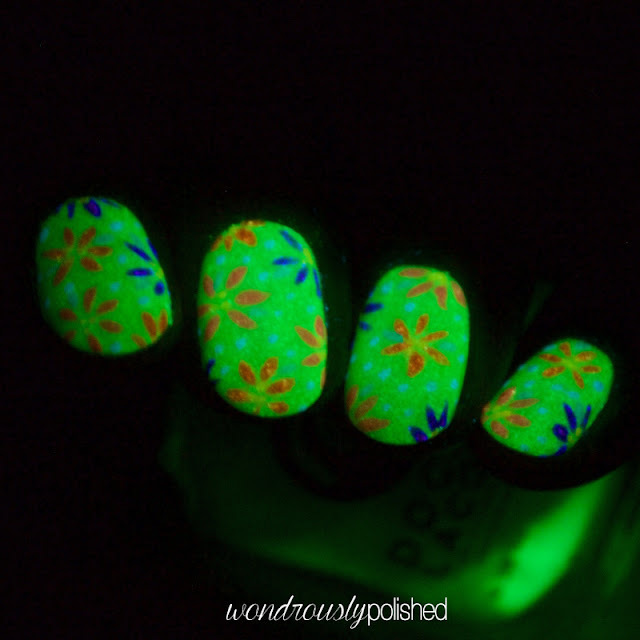 This new collection is no different and I'm really loving this fresh take on neons. Let's take a look!